It looks like NBC is proposing a mid-2013 spinoff of the hit television comedy series, The Office, which would feature Dwight Schrute, the character played by actor Rainn Wilson. According to TV Editor Nellie Andreeva of Deadline, the spinoff will most likely take place on the fictional Pennsylvania-based bed-and-breakfast, Schrute Farms. I hear that NBC is working on an Office spinoff starring Rainn Wilson for a potential midseason 2013 launch. No deals have been closed yet but I’ve learned that the proposed spinoff is a family comedy, which was the brainchild of Wilson and The Office executive producer/showrunner Paul Lieberstein. 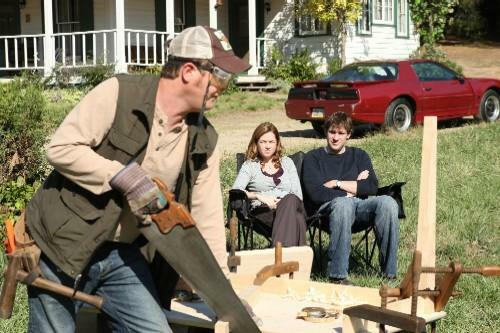 It will have Dwight (Wilson) living at the Schrute family beet farm and bed & breakfast, which have been featured on the show several times, including in an episode where Jim and Pam visited Dwight there.